In A Short History of Nearly Everything, beloved author Bill Bryson confronts his greatest challenge yet: to understand—and, if possible, answer—the oldest, biggest questions we have posed about the universe and ourselves. 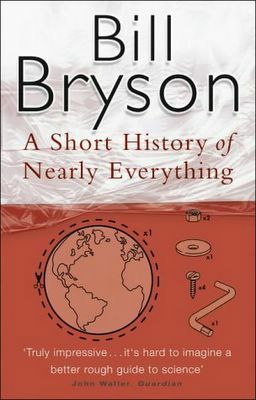 Taking as his territory everything from the Big Bang to the rise of civilization, Bryson seeks to understand how we got from there being nothing at all to there being us. Hey Bill, did you actually read all these books? I am quite impressed. This is the one I especially wanna read and the documentary "Pacific Century". The book I can buy on amazon, but is there any way I can borrow the documentary from you?